Tracing your Canadian family history can be a difficult and complex task. Even though Canada has quite a short history, many challenges await those trying to create a family tree, and there are many places to gather information. The Canadian government hold many records, but there are now many websites that compliment these records by providing huge databases containing millions of records, all of which can help you to find more facts to build up a better picture of your relatives. Correct preparation is the key whenever you start to research your family history, and the best place to start is always close to home. Before you search any websites, try to gather all the information you can about your relatives because this will help you when you come to searching the databases. Start by talking to those who knew them well, such as your parents. Interview them to get instant access to details that can help you to build a picture of their lives. Gather together names and key dates about the person in question, and you will often find that the people who knew them best provide you with an excellent resource of information. You will also want to gather documents, photos, certificates, stories, key dates, names and more. Visit nearby places including libraries, cemeteries, churches courthouses and Family History Centres if there are any. However, this is obviously only useful if you are still living in the same area. If you have moved to a different area or even country, you will probably want to start your search online. Genealogical record sites are very useful for searching for details that you cannot collect by talking to people or visiting physical locations. First of all, you need to gather some key details. The basic details include the full name of your relative, and try to get their middle name as well because you may find many people with the same name. To filter down the results further, try to find out their date of birth, place of birth, date of death, where they lived, their burial location and any events that may have been recorded. Once you have as much information as you can, use the sites to search for your relative, and the results can provide you with lots more useful information. These are the most important records that you will want to find when you first start researching your relatives. These provide you with essential milestones in their lives, and they can be an excellent place to help you to structure your table. However, remember that these are just the start. You need to get other details to find out more about them if you want to build a full picture of their lives. War records are an obvious place to search for details that will fill in useful information about your relatives. These records provide a rich resource of information that can be an enormous help when you are charting an individual’s story. 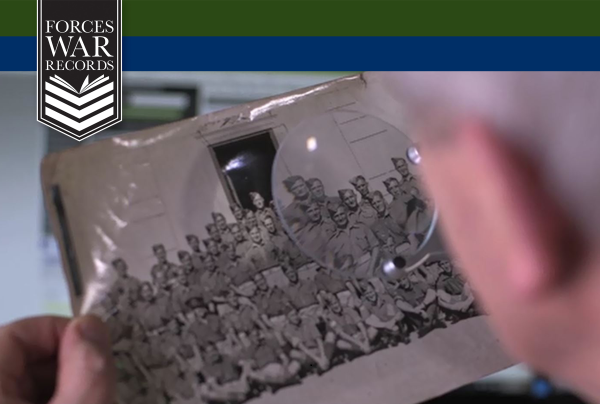 Websites like Forces War Records help you to gather this information together, and you can focus on particular wars like World Wars I and II to track the role that your ancestor played including where they fought, key events in their war, their regiments, and much more, making them a very rich source of information.